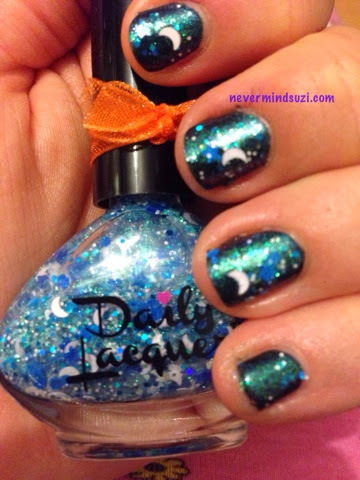 Water Tribes is from Daily Lacquer. 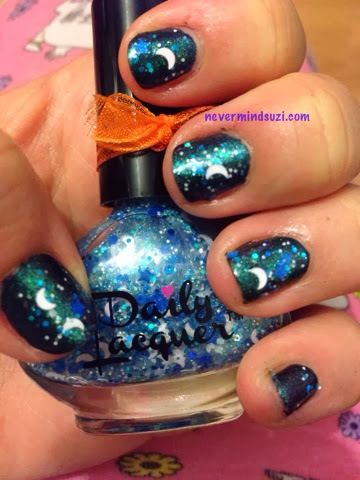 A clear base with teal shimmer, white and blue glitters, white moons and blue stars. It looks good in the bottle but it looks even better on. 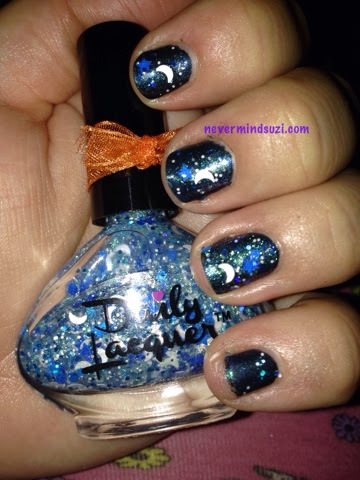 I think it looks just like a galaxy mani (without the faffing). With flash for a different prospective. This is pre-cleanup. 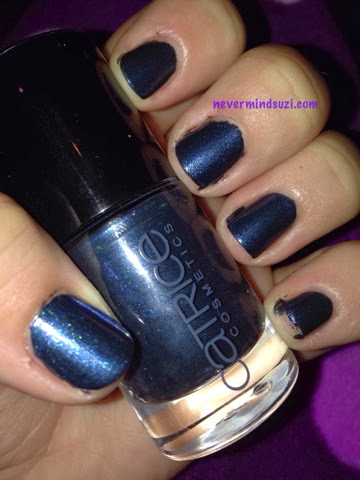 I got this Catrice - George Blueney from the lovely Irish Nail Addict when I won her giveaway. 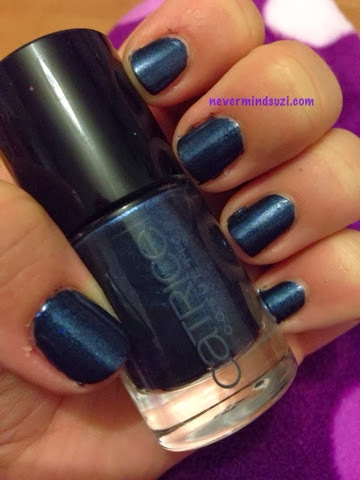 I love the polish so much! !